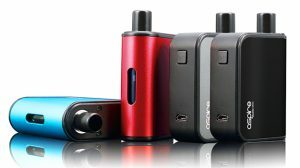 Given the constantly changing trends and advancements in vaping, it can be hard to stay on top of the newest or most advanced devices on the market. More importantly you may miss out on how they can help you vape safer and more enjoyably. If you’re anything like us, that awful taste you get from a dry or burnt hit can really ruin your vape if not your day, if timed just right. Nothing can set a day on a bad path like having to replace a coil just after leaving the house. 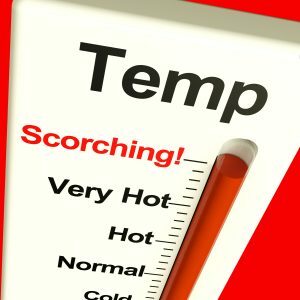 So for those of you like me, or those of you who just wish your vape wasn’t so warm, temperature control vaping might be right for you. 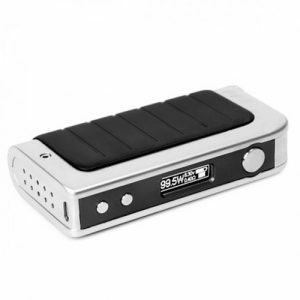 Temperature control vaping is the next step in safer and more consistent vaping. Creating a much-needed way of limiting the temperature generated in your coils, this prevents burnt coils or dry hits and simply keeps your vape from getting hotter than you prefer. We want to tell you what to look for, how to use this technology, and what it can do for you. 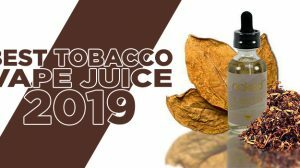 The results of a recent study released in Poland have shown that while vaping is much safer than tobacco products under certain circumstances, you can be creating carbonyls. Now I could bore you with the scientific definition of carbonyls (carbon atoms double bonded with oxygen atoms), but what you’re thinking is ‘’what does that mean for me?” Carbonyls are those little guys that the tobacco companies and pharmaceutical companies like to try to scare vapers with by referring to them as formaldehyde. They love to put out “study” after “study” telling you to beware the dangers of vaping. These same reports almost always list this Polish study as proof. Well the study happened to use an eGo-style battery with a basic top-coil clearomizer. So when the device was used “correctly” at 3.2-4.0 volts, the levels of carbonyls were extremely low. Only when the device was turned up to 4.8 volts did they start to see a significant rise in carbonyl production. Not only that, but the device was used at this level for close to an hour! Now I think we all know what used to happen when our ecig used to accidentally get turned up that high on a basic clearomizer, and we unknowingly would take a good long hit. Scorched earth is the only way I can describe it. Something akin to hitting filter on a cigarette or chewing on a charcoal briquette. I think we can all agree that at that point we aren’t talking about vaping anymore, but instead inhaling burning silica and plastic. The worst part is that even misusing a device to that level couldn’t touch the carbonyls of just one cigarette, which still produces up to 607 times the amount. So what does all of this tell us? That if there is something to beware of in vaping, i.e., carbonyls, the only levels that will be of any significance will be from burning your wick or taking big ol’ dry hits. This is where temperature control comes into play. Even the most careful vaper isn’t able to prevent their coil from overheating or their juice from not wicking fast enough every time. Temperature control is a technology that limits the temperature the coil is allowed to heat up to. This will help even beginner vapers prevent dry hits and overheating their coils, and in turn limit the amount of carbonyls produced. The name temperature control is actually a bit of a stretch because it’s not like these mods have the ability to read the temperature of your coil degree by degree like the climate control in your house. 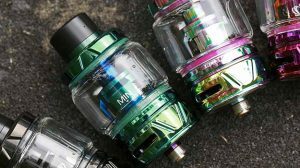 These mods instead read the change in resistance in your coil as it heats up. When the change in resistance gets to a point where it is greatly noticeable, your temperature-controlled device will do one of a few things. It will either cut off power all together, (see RDNA40 devices) restrict the power flow (see the IPV4), or simply down adjust the power flow (see SMOK TC devices). I prefer the latter two as they keep you vaping uninterrupted in most cases and with the least noticeable change. In temperature control mode, these devices work with nickel- or titanium-wired coils. This is because as these types of coils heat up, the resistance goes up as well. 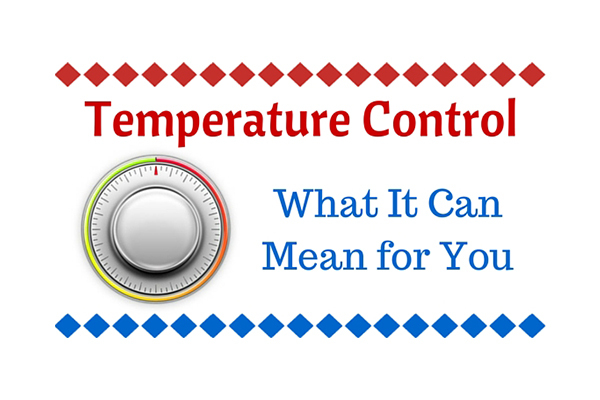 This allows the device to use the change in resistance as a guide to control the temperature. Now remember they don’t read the temperature degree by degree, so they control temperature to within 10 degrees F. Not only do these coils not use the standard Kanthal or Ni-Chrome coils, but they look a little different as well. Because nickel and titanium have so little electrical resistance, more wraps and even coil spacing is required to get a coil of the same resistance as its Kanthal or Ni-Chrome counterpart. In fact, before temperature control, titanium and nickel coils were not used because the lack of resistance made it very difficult to use them safely. This causes the coils to combust, possibly taking a lip or tooth in the process, and possibly your battery to vent, adding your face to the casualty list. So please do yourself a favor and don’t attempt to take short cuts by simply buying nickel and titanium coils thinking this makes your current device a temperature controlled one. 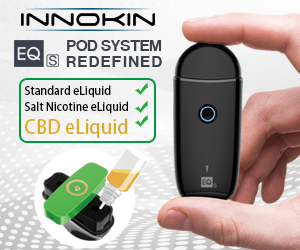 With temperature-controlled devices becoming more popular and more affordable, vaping is taking its next step to being an even safer and tastier experience, and I think that’s something we are all looking forward to. Check out your nearest Pink Spot Vapors today for the latest selection in temperature-controlled devices and accessories. 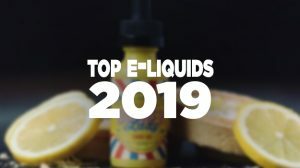 Creating the best quality eJuice with the most unique flavors available.